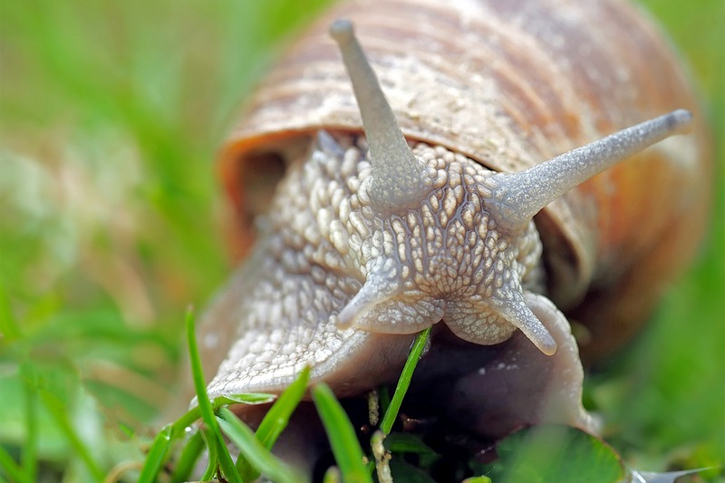 Snails and slugs are mollusks pests with a mucus-covered body which is not pleasing to the eye. These mollusks animals are also parasites. They can munch through your flowers, plants, and vegetables. They are commonly found in the garden, around the water tank, tap, aquarium, and fish ponds. They mostly feed on the leaves which means they are a real threat to your leafy vegetable garden. As a gardener, trying to get rid of snails and slugs in your garden can be a challenge and the following tips will come in handy. The commonly used trap is the beer traps which effectively gets rid of snails and slugs. Put a jar of beer in your garden overnight. You can bury it to make it easy for the snails and slugs to crawl in. Since these pests are attracted to the smell of beer they will climb into the jar and become intoxicated by the alcohol. In the morning, you can dispose of the dead snails and slugs. Beer alternatives include grape juice or a mixture of yeast and sugar or honey. If you’re comfortable with the way the slugs look or feel, you can just hand pick and dispose of them. The best time to do this is in the evening or early in the morning when they are most active. Wear gloves and use tweezers to make the work simpler. 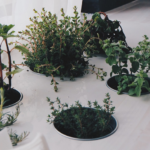 For faster collection, you can place ceramic pots upside down in the garden then leave them overnight. The snails and slugs will gather underneath the pots so in the morning you’ll be able to catch them. Birds and chicken love pecking at snails and slugs. You can release chicken in the garden to feast on the snails and slugs, hence getting rid of them. Also, the larval form of lightning bugs is a voracious predator and snails and slugs are on top of its menu. Other predators include frogs and toads. Make a DIY ceramic toad house from an old pot to encourage them to reside in your yard. Copper wire/tape/mesh is the best barrier for snails and slugs. To control these pests, you need to put the wire around the garden. The copper wire reacts to snails and slugs giving them what feels like an electric shock. This snail solution lasts long. To effectively repel the pests, use wide strips or multiple strips side by side. Buy copper wire from the hardware rather than buying wire specifically branded for snails and slugs. Snails and slugs can’t tolerate the caffeine in coffee, hence you can deter them by spraying your plants with coffee spray or place the grounds around the garden. This is a perfect anti-slug remedy. Studies show that one-two percent caffeine spray is enough to kill snails and slugs. This happens by lowering their appetite resulting in their death. Salt is an excellent snail and slug killer. It absorbs water from the mollusks and dries them out consequently killing them. Spray just enough amount to them and be careful because too much salt is not good for your plants. Option number two is the garlic spray. Crush garlic and then mix with water to make a solution. Leave the solution for a few hours to “marinate” after which you can spray on the infested areas. This solution repels snails and slugs. On the other hand, the recommended chemical is the iron phosphate which is an effective molluscicide killer. 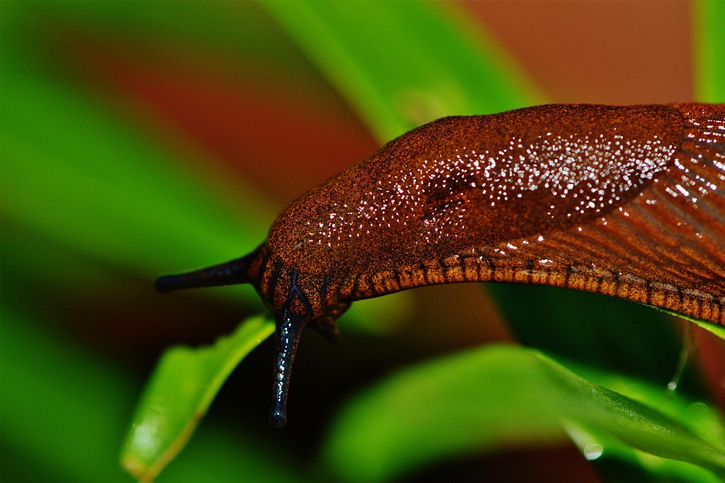 The chemical only harms snails and slugs and is used in commercial slug repellents. This is a safe way to get rid of snails and slugs especially if you have children and pets. Metaldehyde is another chemical that kills snails and slugs. This compound can be toxic therefore it’s not recommended in homes with pets or where it runs the risk of being consumed by small children. Consider changing watering schedule since snails prefer moist ground. You should water your plants in the morning instead of the afternoon to ensure the soil has dried out by late evening making it harder for snails and slugs to get around. 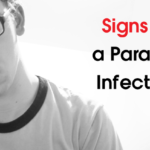 This reduces the presence of this pests by 80%. Another way is by frequently tilling the soil around your plants and flowers to kill any slug or snail eggs in the soil, thereby, reducing their population. Tilling also clears away debris underneath the plants and flowers which are the hiding places for snails. Additionally, you can grow plants that repel snails and slugs. Flowers such as daylilies, foxglove, tansy, freesias, and hibiscus are believed to be unappealing to snails. 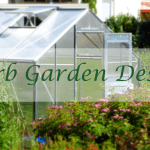 You should think about introducing them to your garden. Other herbs like mint, rosemary, fennel, basil, and parsley have the same effect as the flowers. As you can see, there are a number of ways you can use to get rid of snails and slugs in your garden. You should choose a method that suits you depending on your preferences and other factors. Plus, if you don’t want to deal with these pests you can enlist the services of a pest control company.